It is the most precious divine gem Deva Mani. It awakens the sixth sense organ. 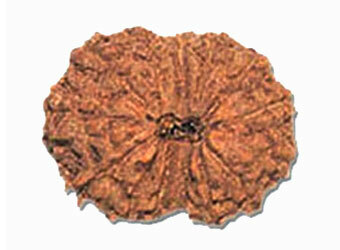 Fourteen Face Rudraksha is a symbol of Lord Hanuman. It is superior among all. It is bless with the power of Hanuman. It is also worship as symbol of Bhubaneswor. It broadens mind and helps to provide knowledge of spiritual and philosophical subjects. It is worn only in neck. 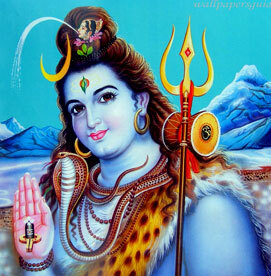 According to Hindu myths Lord Shiva himself wear it on his neck. It helps to get success in all acts. It helps the wearer to achieve the most difficult of Goals. Makes one reach a position of affluence and high rank. It helps in opening of the third eye so that the wearer develops such intuition that he can successfully predict events that are yet to happen.